In this tutorial, we will learn about how to update a table in dynamoDB using java language. Amazon DynamoDB is a fully managed NoSQL database services offered by Amazon as part of its Amazon Web Service (AWS) portfolio. It provides fast and predictable performance with seamless scalability. 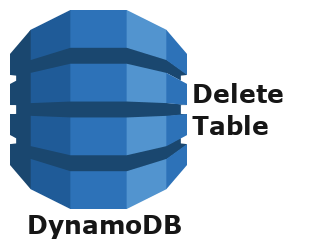 DynamoDB is a key-value datastore, where each item (row) in a table is a key-value pair. CountryName ( Partition Key ) : It represents name of the country for which job is posted. It is stored as String data type ( ScalarAttributeType S ). JobId (Sort Key) : It represents unique id of the posted job. It is of Number datatype ( ScalarAttributeType N ). CompanyName : It represents name of the company by which job is posted. It is of String datatype ( ScalarAttributeType S ). JobTitle : As the name suggest, it represents tile of the job. It is of String datatype ( ScalarAttributeType S ). JobDescription : It represents details job description. It is of String datatype ( ScalarAttributeType S ). Region :- It is a region where dynamoDB table will be stored. ACCESS_KEY :- It is a access key for using dynamoDB. You can generate this key, using aws management console. Instantiate UpdateTableRequest object, this object will be used to send the client request to dynamoDB. Set name of the table which we like to update. In our case JOB. Create a list of AttributeDefinition objects to add new attributes in the table, It will define attribute names and their datatypes. Set Provisioned Throughput to update throughput of the table. Invoke the updateTable method on AmazonDynamoDB object by passing UpdateTableRequest object as an argument. That’s all for how to update a table in dynamoDB using java language. If you liked it, please share your thoughts in comments section and share it with others too.